The Force-3 Handcycle is a great bike at a super price. 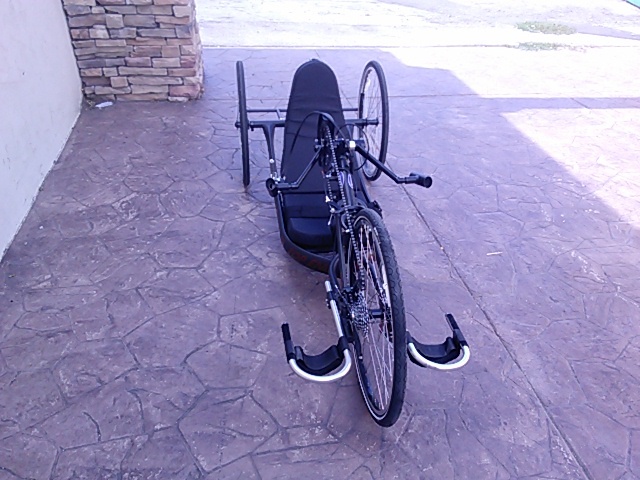 There isn't a handcycle on the market with these great features and quality for less! It has 27 speeds, high-performance wheels, Shimano components and is totally adjustable. Plus it comes with a safety flag, chainguard, seat and back cushions, drafting bumper and a leg guard.